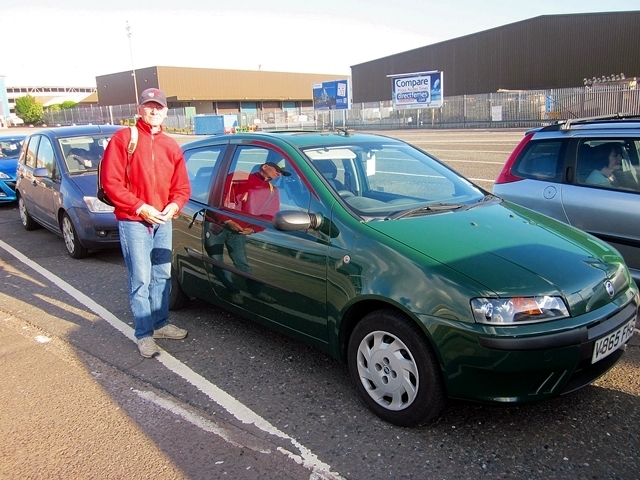 Archie and I left the Dock Yard and drove to the Portsmouth to Le Havre Ferry. 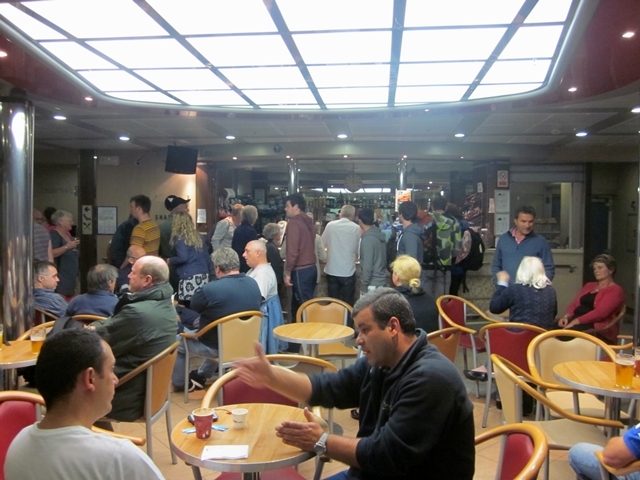 We were early (it was 5 PM and the ferry left at 11PM). This was the overnight ferry. 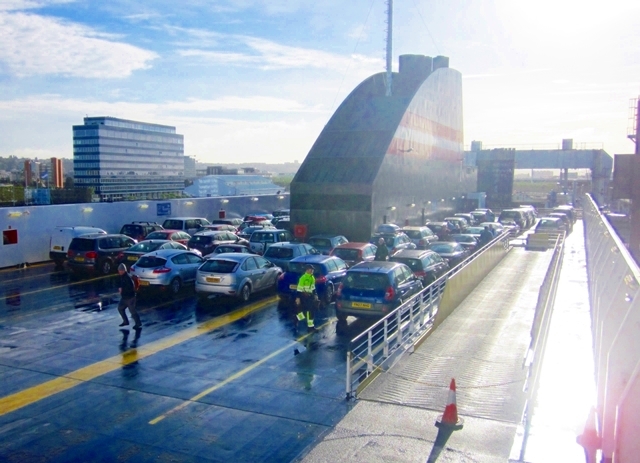 Archie picked this ferry because we could sleep aboard and avoid an overnight hotel charge in France. A good move! This is the “Norman Voyager”. 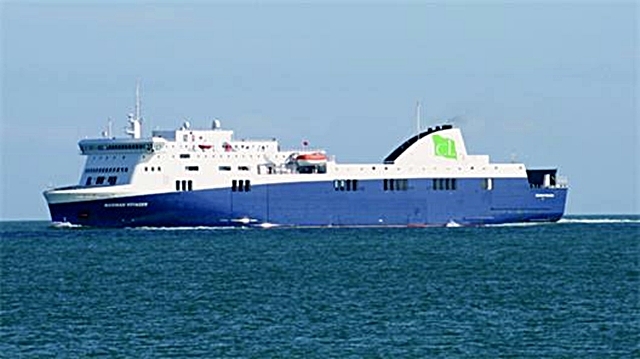 It is a UK registered ship with space for 200 cars and 120 tractor trailers and can carry 800 passengers. 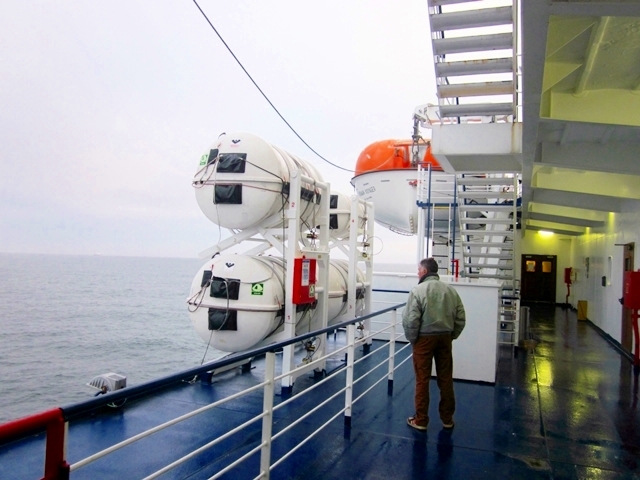 There are 120 – 2 and 4 bed cabins. The cars are on the top deck and the trucks are on the lower 2 decks. We must have had a full load of trucks because they went on first and there was a non-stop parade of them boarding before us. 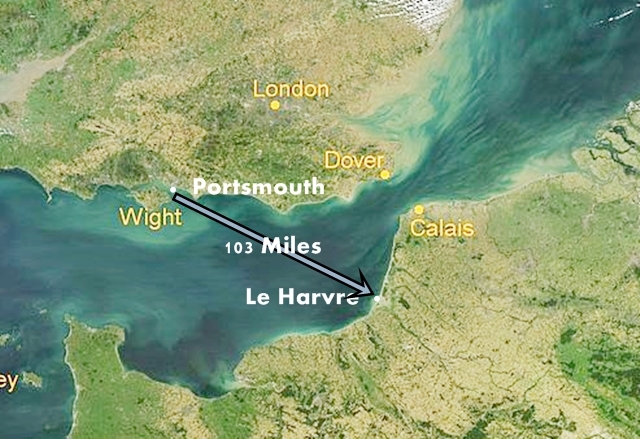 Here is our route across the English Channel (or La Manche- as the French call it). It took about 6 hours for the crossing. During the D Day invasion, all the Allied invasion forces (troops, trucks, tanks, etc.) crossed from many ports in England at this wide point. It must have been a long anxious trip for the troops!! I think the Germans were expecting the invasion forces to cross from Dover to Calais. A much shorter route. They were fooled, weren’t they! This is the car deck. When we boarded it was wet. It hadn’t been raining. Maybe they hosed it down? This is the lounge/bar. As you can see, business is brisk. 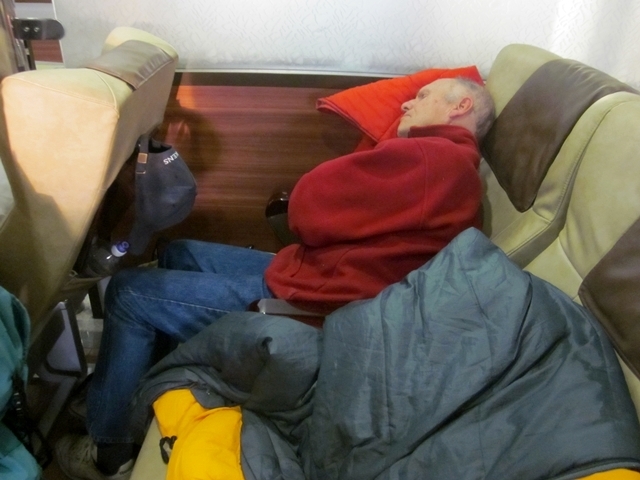 Archie had brought 2 sleeping bags so we curled up for a night’s sleep in our comfy seats. Obviously, we didn’t have a cabin. 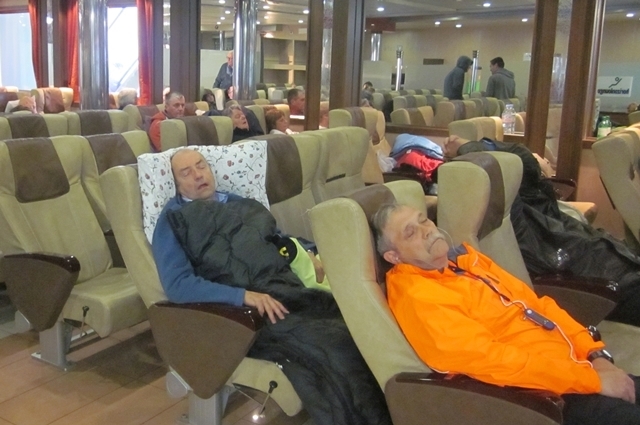 Here are some of our fellow passengers also enjoying their snooze. Bright and early the next morning (Day 3 of my visit) we breakfasted on a “Full English Breakfast”. 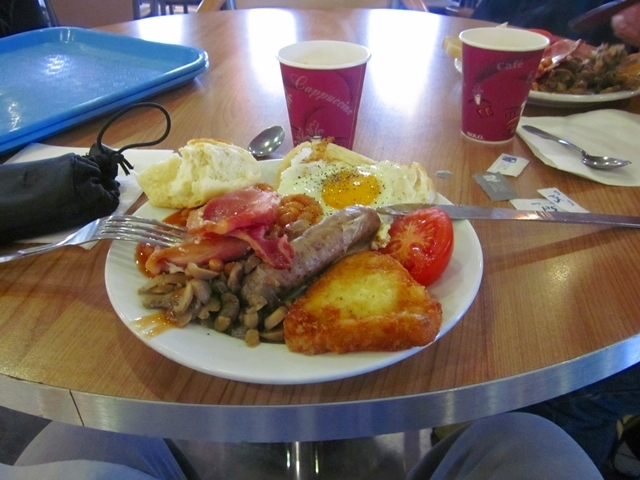 It consisted of: A fried egg, baked beans, broiled tomato, a slice of ham, a strip of bacon, some mushrooms, a half a bagette, and finally a piece of fried bread. GULP!! 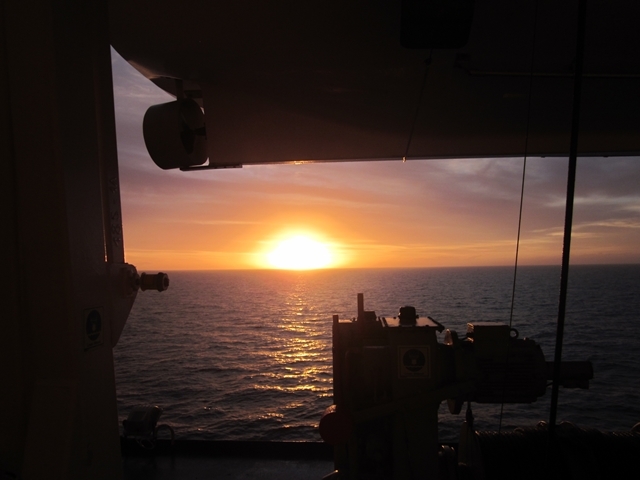 After that feast, a turn on the deck was called for. 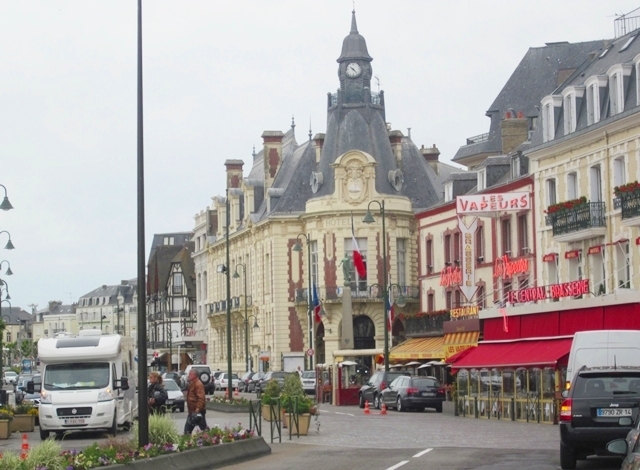 After disembarking at Le Havre, we proceeded west along the Normandy caost and stopped at Deauville. Guess what? We thought we were in Deauville, but we were actully across the River Touques. 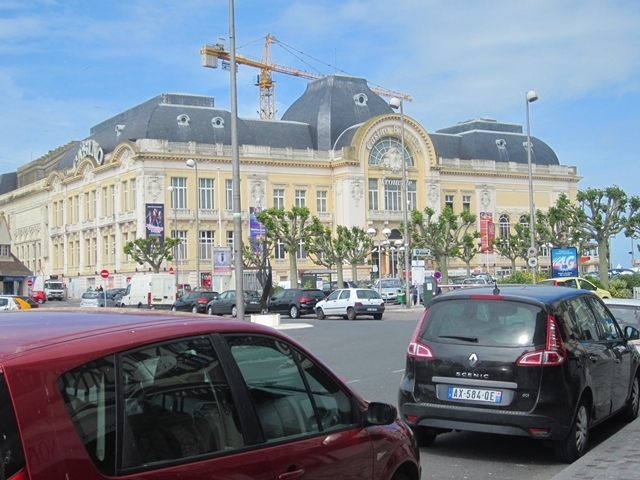 in Trouville-sur-Mer, but the above narrative still applies, This is the Trouville-sur-Mer “Hotel De Ville” (City Hall). 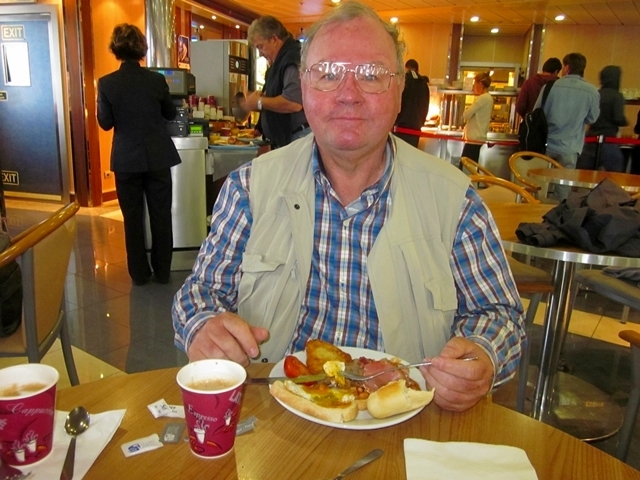 After all that confusion, Archie needed a mid-morning coffee so we stopped the Brasserie le Central. It is the cafe with the red awning in the lower right. 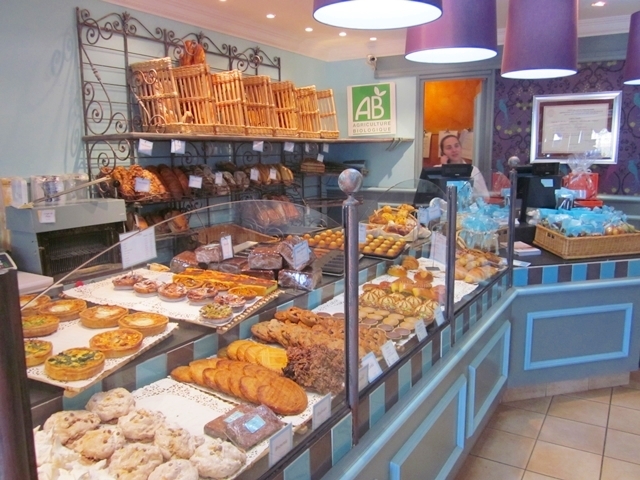 Who could resist French Pastry? We had our first Croissant and cafe aux lait. I took a little walk around town while Archie went back to the car to be sure we had time left on the parking meter. He didn’t want a ticket. He didn’t get one. 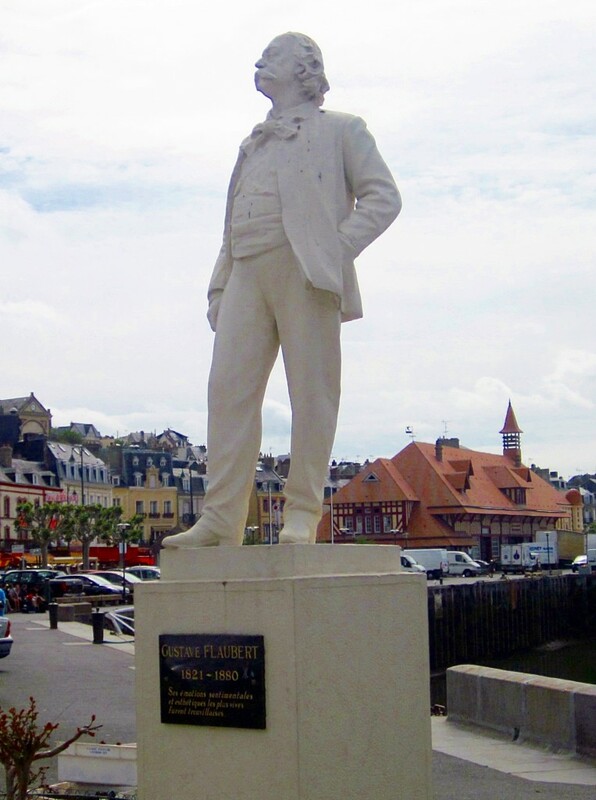 This is a statue of Gustav Flaubert the French writer who is counted among the greatest novelists in Western literature. He is known especially for his first published novel, Madame Bovary (1857). He spent some time here so I guess he rates a statue. 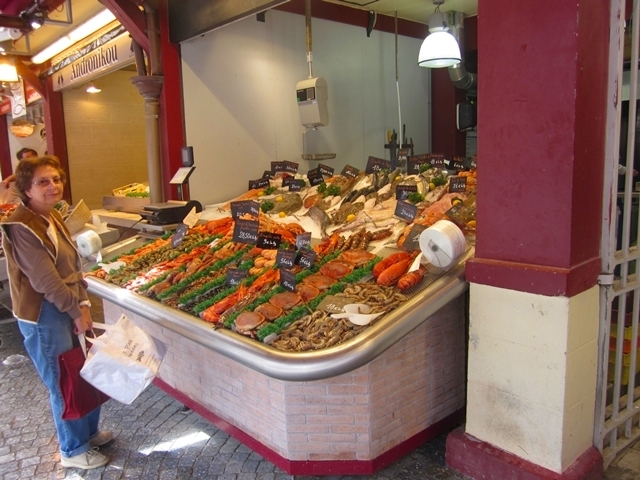 Near Flaubert’s statue is a real neat seafood market with oysters, fish and other fruites de mer. This is one of several stalls. Now on to Page 4 and the D Day beaches.